All bodybuilding proteins are not created equal... so how do we measure the real quality of our protein intake? We need bodybuilding protein quality of the highest order to feed the muscles and this is based on the content of amino acids in the protein. There are a few methods that are used to measure protein quality and you have probably seen these either on ads for supplements or on the protein powders themselves. This is a method that first looks at the content of amino acids resident in a protein and then adjusts this score based on the overall digestibility of the protein. The digestibility of a protein is important because this effects how much protein you will need to eat to achieve the same results. For example, the digestibility of animal protein is more than 90% which means that this amount is broken down and absorbed by the body and may be used for creating new protein and amino acids in the body. Though, the vegetable protein sources contain protein, the difference is that they are less easily absorbed. Of the protein in fruits, vegetables and grains between 60 and 90% can be used by the body as it is only this amount that can be digested. Lets say you have a plate with a pile of rice and re fried beans and a plate with a lean T-bone steak. Lets also say each plate has the same amount of protein on it. You would notice straight away that there is a ton of rice and beans and not too much steak. This is because there is already less protein per volume of rice and beans – so you need to a larger quantity. But more than that, you have to make up for the fact that maybe 30% of the protein you do find in the rice and beans will not be absorbed by the body – again, this means you have to eat more just to get the same protein as from the steak. This is great if you like rice and beans… But wait a minute, what if I want a quick protein fix say before or after working out? And what if you happen to be a vegetarian? This is where the fortified Soy protein and Whey protein powders are useful. Back to the PDCAAS… the highest score possible is 100 and this perfect score is made by egg whites, skimmed milk powder, tuna and ground beef. Soy protein powder has a score of 94. We want to know which sources of protein enhance gains in lean muscle weight...... this is the PER, and the benchmark is egg white protein as this is a complete protein containing all 8 essential amino acids in the correct proportions to encourage and support tissue growth. The BV measures how useful a protein is for promoting growth and repair......again egg whites are the ideal in that they have the highest BV of any food… but just because a food does not have a high BV doesn’t mean it is not useful, it may just be more useful as a fuel. Here we have seafood hcg diet recipes that are appropriate for the 500 calorie/day phase of your hcg diet. Again, let me refer you to YOUR hcg diet plan, to make sure they're appropriate for what you're following, and always choose the leanest meat available, and trim any visible fat from it. Mix lemon juice with zest and a little Stevia and onion. Baste fish with mixture and top with salt, pepper, lemon and orange slices. Wrap in aluminum foil and place on the barbecue grill or in oven at 350 degrees. 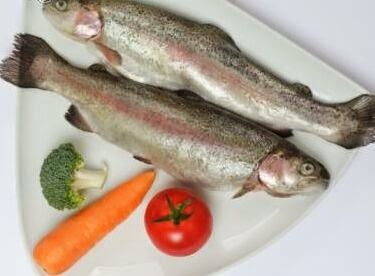 Cook fish for 5-10 minutes or until fish is thoroughly cooked. Serve with lemon and chopped parsley on top. Preheat broiler. Squeeze lemon over fish. Sprinkle with curry seasoning and place tomato slices on top of fish. Place fish on broiler rack. Broil 8"-10" away from broiler for 10-15 minutes until tomato starts to blacken. Serve. A great seafood hcg diet recipe. Place Mahi Mahi on top of a large sheet non-stick aluminum foil. Cover with garlic, ginger, and pepper then place tomatoes on top of seasoned fish. Top with squeezed lemon juice. Close up aluminum foil into a "pouch" so that the top and ends are sealed. Bake at 350 for 10-20 minutes (depending on thickness) or until fish flakes. Add apple cider vinegar, seafood seasoning, water, and shrimp to saucepan over MED-HI heat. Let water come to slow boil. When shrimp starts floating, remove from heat and drain. Immediately place shrimp in ice water for 1 minute. Drain and serve immediately or chill in refrigerator. Place shrimp in bowl and add Cajun seasoning and toss to coat. Put shrimp on skewers (if using wood skewers, remember to soak in water for at least 20 minutes prior to use). You can also make kebabs with onion or tomato or any other veggie allowed on protocol. Squeeze on lemon juice. Grill or broil until cooked through. Sprinkle with chopped parsley. Serve. Heat nonstick pan over MED-HI heat. Mix 4 Tbsp of the broth with red pepper, minced garlic, and bay leaves. Add to pan. Cook less than a minute. Be sure not to burn the garlic. Add shrimp. Cook 3 minutes. Bad breath, also known as halitosis, may seem like an insignificant thing but it can prevent you from landing a job, getting a date, having a fantastic social life and making new friends. Essential oils that are present in these spices linger in your mouth and stomach for up to 24 hours after consumption and this stubborn smell will remain even if you brush your teeth. You can neutralise the smell by sipping lemon or Calamansi. Like the above foods, these greasy meats contain smelly oils which remain on your breath for ages and if you burp, people will know exactly what topping you had on your pizza. This is pretty much self explanatory; although it is tempting to indulge in these costly luxurious appetizers, try to limit your spongy cheese intake. You can buy fish which do not have a strong smell like white fish so try and avoid the smellier varieties like milkfish (bangus) and local delicacies like bagoong (fermented fish in brine), alamang (shrimp paste) and Bombay duck which will leave a lingering smell. Not only is it bad for your health, smokers can be detected from several feet away as they smell like a walking ashtray and the smell is hard to mask. Beer, wine, whisky and strong coffee are the worst beverages in terms of the smelly residue that they leave in your mouth. Drinking water as an alternative is not only recommended by many for its detoxification properties, it can also dilute the anaerobic bacteria inside your mouth consequently reducing or even eliminating bad breath. Brush your teeth immediately after every meal to remove all traces and smells of the food. If you do not have a toothbrush to hand, gargle several times with water by swishing the water all around your mouth, left and right vigorously. This will dislodge any stuck food and wash out any odor left by the food. Bad breath can also sometimes be caused by dirt trapped on the tongue as the tongue actually has tiny little hair-like fleshy protrusions which can accrue dirt and germs. Brushing your tongue with a toothbrush is inadequate as it just moves the dirt around the tongue but scraping the top layer with a tongue cleaner will help. Floss daily, especially before you go to bed, as sometimes food which is trapped between your teeth is not removed by tooth-brushing and as it slowly decays, it will give off a foul odor. Some experts say that mouthwashes can dry the mouth out whilst others are strongly in favor as they can reduce bacteria and eliminate bad breath as well as dislodging trapped food. You could try diluting it in water and using it occasionally as a compromise. Sometimes bad breath is a result of mouth, teeth or gum decay or infections and seeing a dentist can highlight if any one of these are causing the problem. Adhering to the above advice should help to make a noticeable difference to any unpleasant oral odors. If you feel that they have not cured your bad breath, speak with your dentist or consult a doctor who is preferably a gastroenteritis or Ear Nose Throat (ENT) specialist as in some cases, bad breath originates from deeper within the throat and stomach. One emergency tip: If you're up for a date or a short interview, you can try chewing mint-flavored gum. This will temporarily cover up the smell (until after your date), but it won't cure your bad breath. Diet, water, and exercise are the building blocks to a healthy body. You might be asking, "Why is Water included in Diet Water Exercise?" Well it is simple. You need to have a healthy diet. Water is part of the Water Diet Exercise building block. You see... many people overlook how effective water is in our lives. It is needed for almost every basic function our body does. We need to drink a lot of water daily, especially when working out. What Exactly Does Water Do? Water provides the liquid source to move fluids in and out of your body. It also acts as a carrier for your blood to deliver nutrients throughout the body. Water can also curb your appetite resulting in losing body fat. Many nutritionists will recommend drinking plenty of water throughout the day. This is especially true when people try to lose weight. Sometimes our body craves water and we misinterpret it as being hungry. There is a very simple formula I use. You divide your weight by 2 and that is how many ounces of water you need. For example a 140 pound woman would need 70 ounces of water daily. While a 200 pound man would need 100 ounces of water daily. What Other Beverages Should I and Shouldn't I Drink? Do not substitute coffee, soda, and other beverages for water just because it has water in them. These sugary and caffeinated beverages can actually dehydrate you rather than quench your thirst. Try to avoid coffee, soda, and sports drinks. Instead drink real fruit juices and water. I say real because you don't want to drink stuff like Hawaiian Punch or even Capri Sun. Look at the label, if it has high fructose corn syrup in the ingredients don't get it. There are many others out there too. Remember just look for the labels. For all you coffee lovers thinking I’m crazy for telling you to ditch coffee. You should try orange juice instead. It helps wake you up without the caffeine and is good for you. Don't even substitute fruit juice for your daily intake of water. Drink the recommended amount for your weight strictly as normal water. You can also drink milk too in your diet just be sure in moderation as it has a lot of saturated fat. Many people get dehydrated and don't even know it. Did you know that if a headache arises out of nowhere there is a very good chance that it is because your body is telling you it needs more water? That is true and if you get frequent mild headaches you might want to consider drinking more water. Another common symptom of dehydration is the feeling of hunger. Many people mistake this for being hungry and their bodies are actually really thirsty. To have a successful diet, water must be included. You can see now that is true and how important water is. So follow the Diet Water Exercise building blocks. It is especially important to make sure you drink enough water when taking supplements, especially creatine and when you work out. You need to take more than the usual amount of water if working out and/or taking creatine. If we couldn't survive a few days without water obviously it is very important. 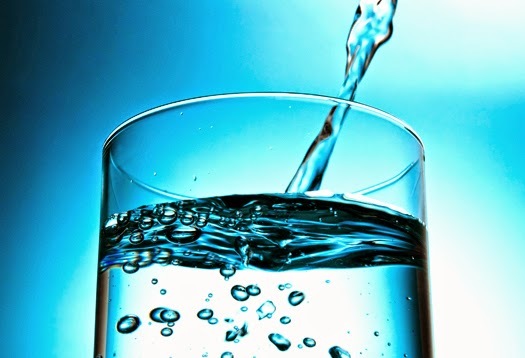 You will notice you feel more "healthy" when properly hydrated. That is why diet water and exercise are crucial to building a healthy body. "Health Fitness Articles, what is that?" This section is all about giving you the information you need to build lean muscle mass. Most people out there and probably even you will want to put on some lean muscle mass when working out. Both men and women have this goal in mind. Obviously there are quite a few key differences but overall if you will find something in this section that pertains to your goals. These fitness tips and muscle building tips will help you maximize you workout, motivate you, and give you a general understanding on how to come up with health and fitness ideas of your own and incorporate those ideas into your workout. Before you scroll down to the articles below, there are a few key basic elements you should know to succeed with any workout. Whether it is losing/gaining weight or just getting more healthy overall. Each of these goals share 4 common elements to success. There is good news and bad news. Bad news is that if you do not follow these 4 elements you will fail. Good news is they are straightforward and simple to do. Sounds simple enough right? You need to be strong willed to succeed. You need to be motivated enough to succeed. I know you already are strong willed and motivated. How do I know this? You are on this fitness website gathering the information you need to put your plan into motion. Now that you understand these 4 concepts you are ready to read these articles on health and fitness. I hope they help give you the edge you need to reach your goals. This section below is what I like to call Health Fitness Articles, because fitness plays a big role in your overall health. You need a balanced health and fitness routine to get results. The Health Fitness Articles below offer great muscle building tips, exercise ideas, and give you the knowledge needed to make your own balanced health and fitness workout plan. Ever wonder just how important a healthy diet plan is? Did you know that working out is only 1/3 of what’s required to give results with any workout plan regardless of your goals? If you want any results a healthy diet plan is absolutely essential. This section is meant to give you guidelines and information on which diet to incorporate into your workout. As you scroll down and read each article you should note that each diet is meant for a specific reason. My goal is to help you understand and formulate your own diet plan that works. After all, not everyone is the same. Don't worry they are free diet plans. I don't buy into those plans you may see on TV claiming you lose weight on their plan and neither should you. These diets, diet tips, and food lists are straightforward and are based upon nutritional content needed for your particular fitness goal. When people think of a diet they think of losing weight. While many of today’s most popular diets have this goal in mind, it is not only limited to this reason. I got that all the time. I was in fact, doing the total opposite, I wanted to go on a diet to put on weight. Well, obviously someone who wants to put on weight is going to eat differently than someone trying to lose weight. So I decided that I would dedicate this section to provide information about many different diets and their pros and cons. If you stick to your diet plan and continue to develop the skills needed to properly manage your diet, then you will have picked up on healthy eating habits that make things a lot easier. 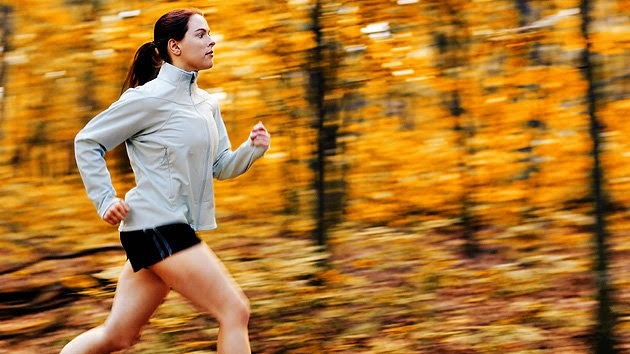 Looking for the best ways to lose weight? Have you ever looked in the mirror and thought, “It’s time to shed a few pounds.” Well you’re not alone. Many people everywhere feel they need to get rid of some weight. 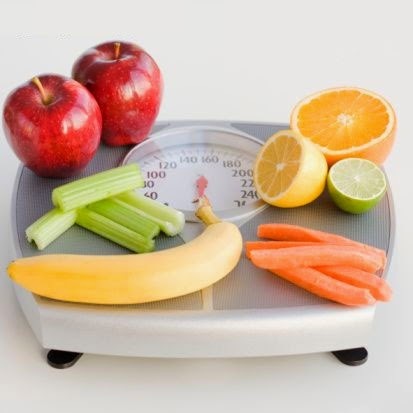 By reading this you have taken the first step to your goal of losing some weight. Losing weight is easier than you think. With a little motivation and putting together the right combination of diet and exercise you can easily shed off all those unwanted pounds. Want to good news now? You already have done half of that first sentence in this paragraph. You have to motivation! If you didn’t, why would you still be reading? Want more good news? Of course! It’s always nice to receive good news. After reading through this section and other parts of this website you will get a good understanding of what you need to reach your goals and will be able to construct your own diet and exercise plan. Why Not Just Pop A Pill Instead? Nowadays I’m sure you’ve seen commercials stating the best way to lose weight is to buy a product that promises you’ll get rid of X amount of pounds a week. Now trust me, out of all the best ways to lose weight, this is not one of them. What companies that make these products don’t tell you is, that they use ingredients that mess up your body’s natural metabolic balance. By taking these products you may notice you do in fact lose weight, however if you decide to stop taking them you will gain the weight back. Also, not to mention there are serious side effects to taking some of these products. In fact, recently the FDA ordered the recall of all Hydroxycut products because people have reported liver damage upon taking these and some people have even died because of these products. Notice how all these new trends of products come and go? Why is it that diet and exercise has yet to be replaced by some of these products? If you think about it, if there truly was a pill out there that could get rid of weight without any side effects and was equivalent to diet and exercise then you would see a lot less people at your local gym. This hasn’t happened yet and will never will. Why? It is simply because diet and exercise is the only way to get rid of weight and keep it off naturally. So What Are The Best Ways To Lose Weight Then? Bodybuilding Weight Loss Seem Impossible?